Mine: I am not a big Will Farrell fan, but thus is really funny. The entire cast is pitch perfect. Great job of poking fun at local news and the 70s. Silly, but hysterical. 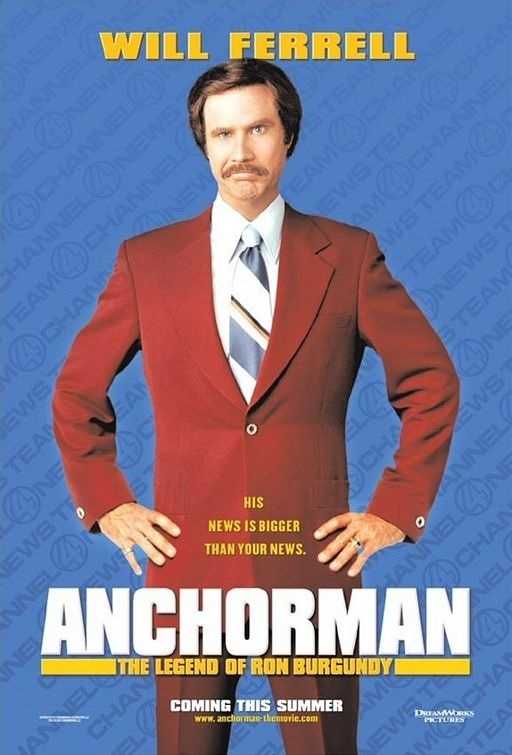 Leonard Maltin/Plot synopsis: Ron Burgundy is San Diego's top rated newsman in the male-dominated broadcasting of the 70's, but that's all about to change for Ron and his cronies when an ambitious woman is hired as a new anchor.